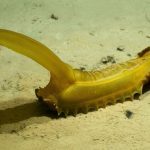 Deep on the floor of the Pacific Ocean, amidst one of earth’s greatest unexploited reserves of valuable minerals, are ecosystems of otherworldly creatures. Imagine sinking into the deepest parts of the Central Pacific Ocean, somewhere between Mexico and Hawaii. Watch as the water turns from clear to blue to dark blue to black. And then continue on for 15,000 feet to the seafloor — roughly the distance from the peak of California’s Mount Whitney to the bottom of nearby Death Valley. Each of the three mining machines outweighs the 200-ton blue whale – the largest animal the world has ever known – and they look fearsome, especially the bulk-cutter designed to grind up the ocean floor with its enormous roller, covered in spikes. Continue reading Can deep-sea mining avoid the environmental mistakes of mining on land? 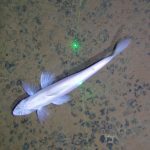 Using a Remotely Operated Vehicle, researchers identified more than 6,000 individuals belonging to over 170 tentative species in a small part of their study site in the eastern portion of the CCZ. 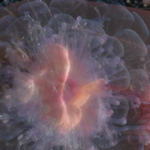 Many of these species are rare or new to science, the team found. 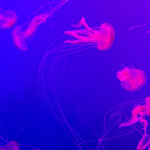 The study’s preliminary results also found that the polymetallic nodules have the highest diversity of megafuana, suggesting that mining could be disastrous for the deep-sea marine species in the CCZ. 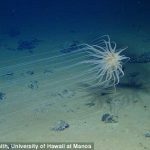 A vast area of seabed targeted for deep sea mining is home to species previously unknown to man, a study warned. HONOLULU — Last summer, a team of Japanese scientists boarded the University of Hawaii’s Kaimikai O Kanaloa, a 223-foot, high-tech research ship docked in Honolulu Harbor, and headed out to sea. 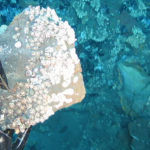 Their mission was to explore whether they will be able to tap into billions of dollars worth of coveted minerals that are believed to sit 5,000 meters beneath the sea in an area that runs from about 500 miles southeast of Hawaii toward Mexico. Japan is one of more than a dozen countries angling to profit off the vast mineral deposits that span 6 million square kilometers — an area the size of the United States — in what’s known as the Clarion-Clipperton Fracture Zone.